Vampire Legends: The Untold Story of Elizabeth Bathory is rated 4.4 out of 5 by 19. Rated 5 out of 5 by tophatmcgee from Late to the party, but better late than never! This is a marvelous game! Nice and long, a few twists, engaging story. Lately it seems like games are rushing to the end, this one takes it's time. The map works very well, you have an automatic jump back and forth when you need to make a potion so that was great. The potion gimmick was fun, the slider puzzles when you were seeing the past were fun, but I could have used a few more intricate puzzles than were offered and less just plain HOS. However, and this could be a spoiler............. sometimes on the HOS you need to use an inventory item so that was different. The cons to this one, some of the pieces that were needed to put together an object were misnamed so you ended up looking for something and you really already had it. The loading of the game is a little slow. And not really a con but a headscratcher, I ended the game with more than 5 unused items in my inventory. And when I looked at a walk through to see if it mentioned where to use them, the screenshots at the end had different objects in their inventory......so I am not sure what that is about, unless it has to do with the CE version. But other than that, a very satisfying romp through "history". Rated 5 out of 5 by Demonduck from Intriguing Story Line Based On A True Story Elizabeth Bathory, the Blood Countess, has been described as the most vicious female serial killer in all recorded history and she would later be used as one of the primary inspirations for Bram Stoker’s Dracula... a perfect character for a Vampire Legends story! The Vampire Legends version of her story is suspenseful, bloody but not gory, and injects a plot twist that carries the storytelling and game play along very nicely. I just finished playing the SE version that I started yesterday, and I actually had to stop for the night and sleep. Today I played awhile after lunch, got tired so I took a nap, and then came back to finally complete it just before starting dinner ... it's that long of a game! You think you're about at the end, and then there's another twist and more scenes need explored and solved! 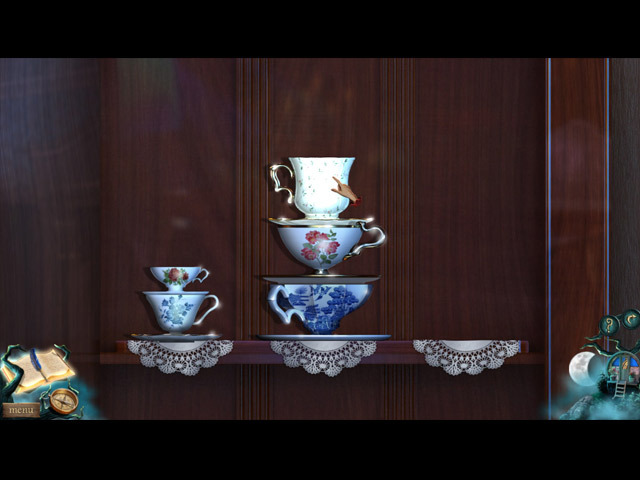 The psychic vision part did get tedious with the repetitious "put the picture together" puzzle that you are presented with each time the Gypsy "Finder" has one, but overall the assortment of HOS and puzzles was a good mix and not all that difficult to figure out. I liked the Gypsy-as-herbalist aspect, it contributed to the game without being horrendously tedious in what had to be gathered to create and make potions. Note: if you can't find her wagon to mix potions in at the beginning of the game... look under the hint area, bottom right. I did use the hint a few times when I couldn't figure out where something was or just didn't see an item, but for the most part it was easy to follow along on where to use different inventory items. The character list was short, so that removed a lot of complexity of keeping track of who's who. The interactive map helped a lot in figuring out where to go next. I also liked that I didn't have to fix every inventory item in order to use it, and most locations gave you more than just one item towards what you'd be needing to continue the game play. I loved the graphics, and the HOS had items that were very on point for the time period. I always appreciate it when a developer pays that sort of attention to detail. I do recommend the game, and I will play this one more than once. I have yet to check out others in the same series, but maybe next time our Gypsy "Finder" could have an animal "familiar" as a helper! Rated 5 out of 5 by Yaelle from Love It!!! 4.5 out of 5 stars I am very unexpectedly enamored with this game. I bought it a few weeks ago for something like $2 and I had low to no expectations, thinking it'd be nothing but looking for hidden items. Boy have I been pleasantly surprised! 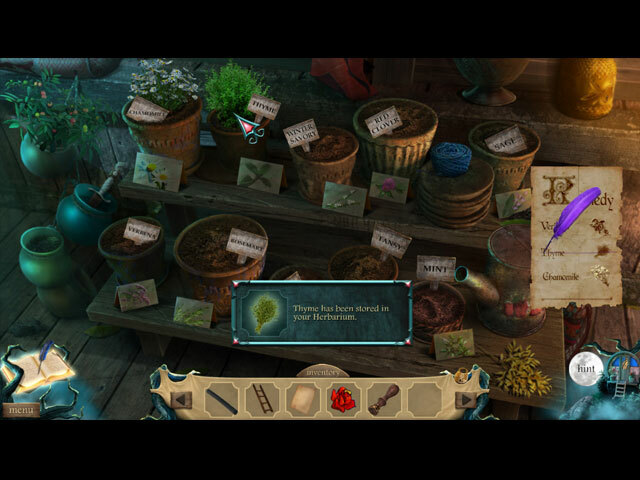 Great puzzles, the herbarium, some shockingly macabre scenes, a really nice length, and just an all around really enjoyable game. Two thumbs up! Rated 5 out of 5 by EzgiMelody from Love it !!! it is a really interesting historical storyline from a Gypsy's eye. I enjoyed to play every second of this game especially the potion brewing games. Thank You Big Fish. Rated 5 out of 5 by Kimmycoo from Really Long Game For a standard edition, this was one long game and I loved that! This game is one to own! I love this series too. The graphics and scenes were great. The mini games and HOS were great. The music was great. i loved being the Gypsy and traveling back to my wagon and creating potions, that was fun! I highly recommend this game! Rated 5 out of 5 by JulzCat from History Comes to Life! Although loosely based upon the exploits of Elizabeth Bathory (she was a serial killer, not a vampire...obviously), I enjoyed stepping back through the pages of history (the names of her husband and servant were correct) to play this game. I also very much enjoyed all the potion making. My young daughter was excited that her name, Sofia, was listed under items of wisdom (Sofia means "wisdom"). You'll enjoy this one! Rated 5 out of 5 by mjromano69 from Well worth the time to play this game! I must say, this is one of the best games I have played in a while (and I have played hundreds of HOG games). The plot line was pretty good. The graphics were pretty good as well. The only con I have with the game is that I had to run around a little bit. This made it a longer game which makes you think you got your moneys worth. Some of the HOGS were a little testy and the minis were somewhat tough. All in all, I recommend this game. Rated 5 out of 5 by BooksandGameFan from Great game! Vampire Legends 2 is based on a true story, obviously the story of Elizabeth Bathory, one of the world's vilest serial killers with a vampire-like character. When it comes to Elizabeth Bathory, I expected a dark and creepy story - and the game did not disappoint. Vampire Legends 2 delivered in terms of intriguing storyline and complex plot; regardless of the complexity, Vampire Legends 2 was easy to follow and never confused me. I was impressed by the fact that each character in the game had its own unique personality,the puzzles while relatively easy had different difficulty options, the music and voice overs were great. I really loved the look of the game the graphics were fantastic. The whole house and the items/furnishings in the house house were lovely. A wonderful spooky game without all the ugly broken furnishings or empty rooms full of bugs. This was perfect to me! 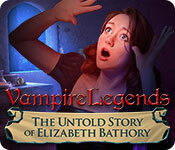 Vampire Legends: The Untold Story of Elizabeth Bathory was not packed with fancy features but still, I was thoroughly entertained playing the game. It might be because the flow of the game was so smooth that I barely noticed the time passing by that to me is the sign of a perfect game!! Apart from the hand-drawn interactive map, custom difficulty mode and a diary - the game contained two other fun and innovative features.1. Psychic Powers to reveal hidden spots and 2. a potion-mixing wagon. You use this quite a bit throughout the game. I just loved making all the potions! This is how you make a fun, interesting and entertaining game. Bravo O2D Studios! I know they are a relatively new and small game designer company but I see big things in their future! Rated 5 out of 5 by Fatalita from Gorey Fun This game was recommended to me by a friend and I must say I am content with it. The storyline is solid and it a lengthy game. 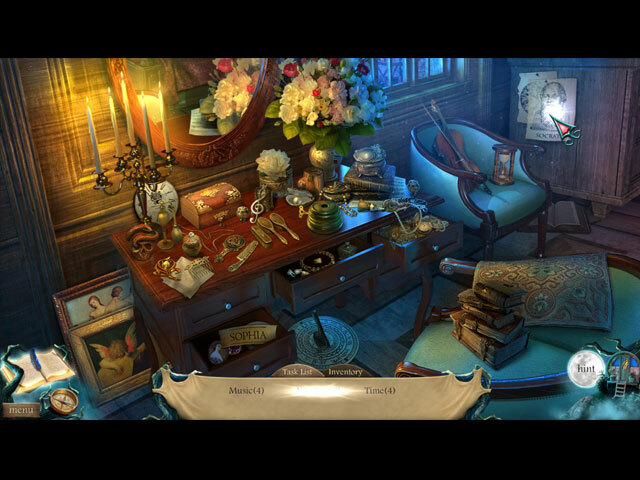 The puzzles are not very challenging, but the hidden object scenes were more engaging than ones that I find in other games. Just overall I am impressed with the game and I am kicking myself for not buying the collectors edition since I would have loved a bonus chapter. Another bloodcurdling tale ripped from the pages of history. This time, the horrifying legend of Elizabeth Bathory is yours to discover!